I have been waiting, impatiently to share something with you! 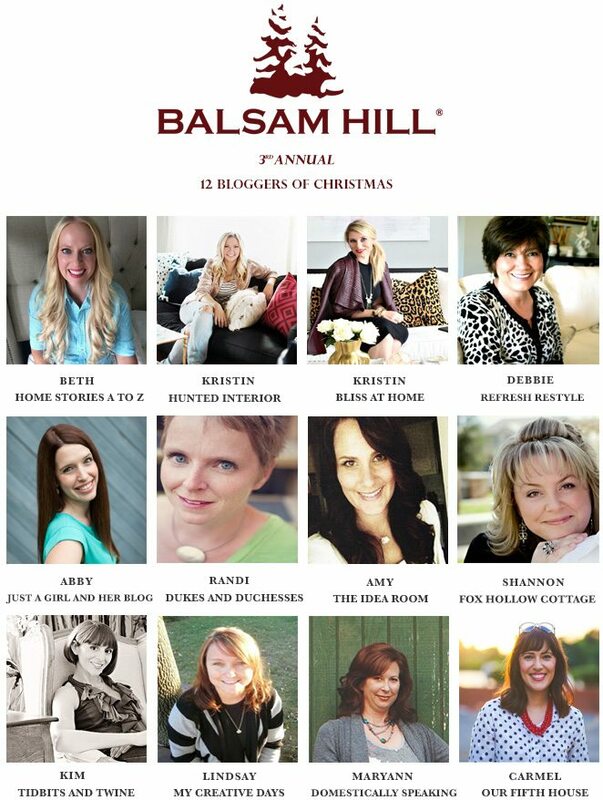 All twelve of us will be sharing our Balsam Hill Christmas trees this week. We hope that you will visit each one and be inspired. 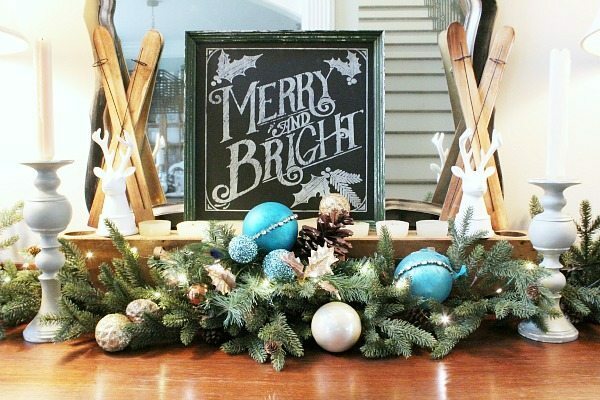 Tons of Christmas decorating ideas from all of these talented ladies! 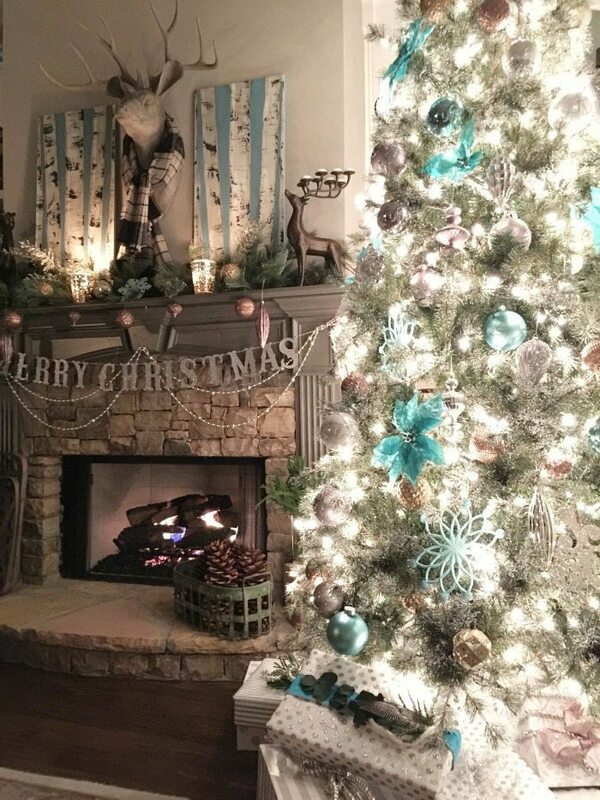 Let me introduce you to my beautiful Balsam Hill Frosted Sugar Pine Tree. 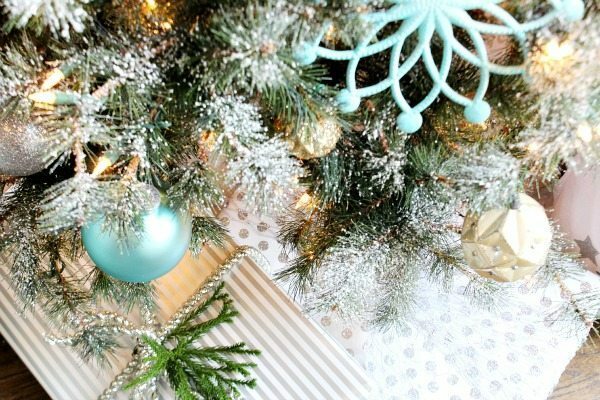 The frosted pine tree was begging for icy blue Christmas decor, at least that’s what I heard. 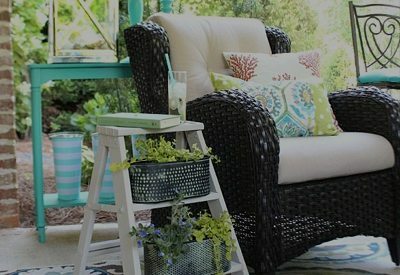 Our main living areas are filled with turquoise, aqua or some shade of blue. When I took the tree out of the box and fluffed it, the snow on the tips immediately made me think of the first snow of the year. The one that gets you excited for winter! That was the beginning of my idea for a winter wonderland. A frost filled Christmas tree, thanks to Balsam Hill. 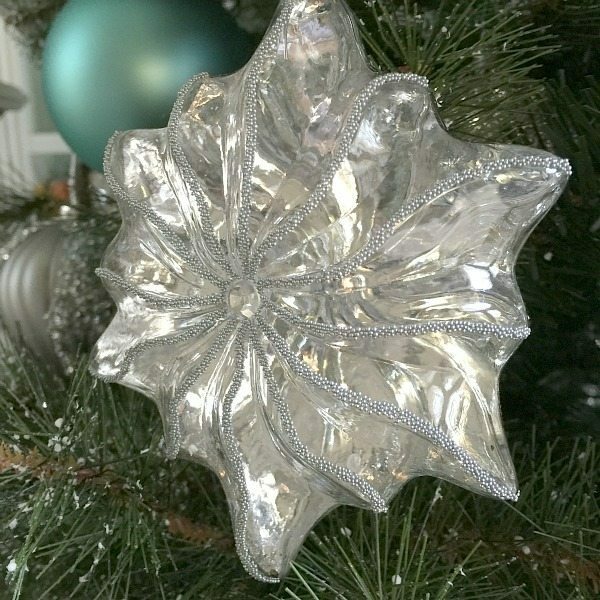 This beautiful ornament is one from the Crystal Palace ornament set from Balsam Hill. Nature inspired with a bunch of metallic tossed in to create the look and sparkle of fresh fallen snow. 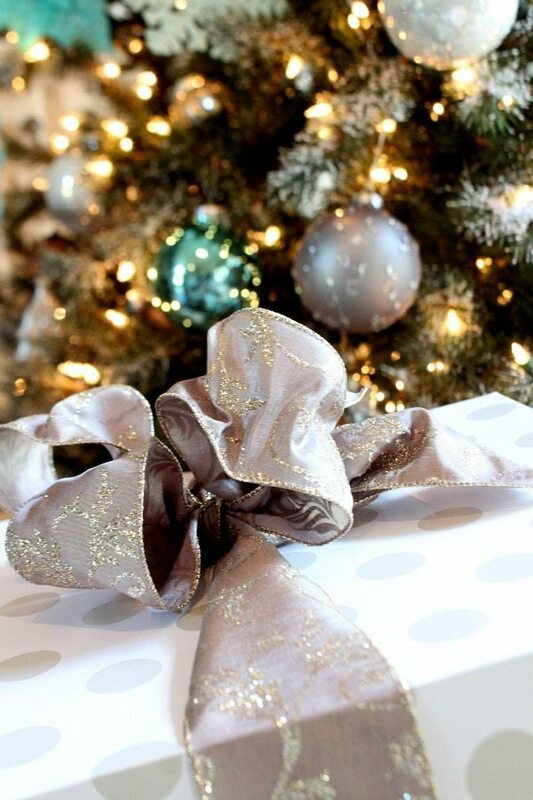 Gifts are wrapped in a mix of gray, silver and gold with simply curly ribbon and pieces of evergreen. For my frosty fresh snow look, I started with an assortment of metallic ornaments. These ornaments have been around for a while, helping me keep my Christmas decor budget in check. 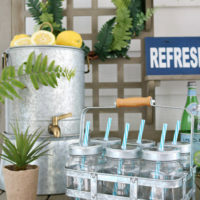 They add the sparkle while keeping it neutral and you can add any pop of color to change it up each year. 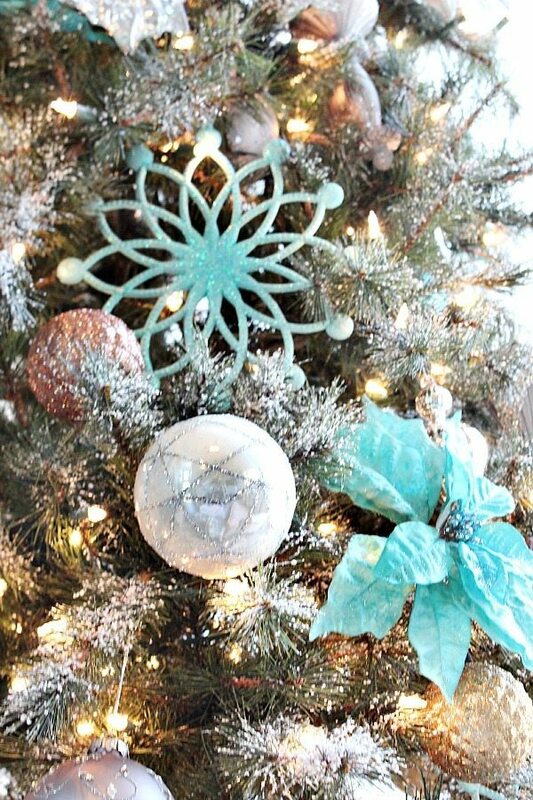 Frosty turquoise and aqua poinsettias and snowflakes remind me of ice, the perfect touch for adding wonder to the beautiful tree. When you enter our home from the front door, this is what you see. 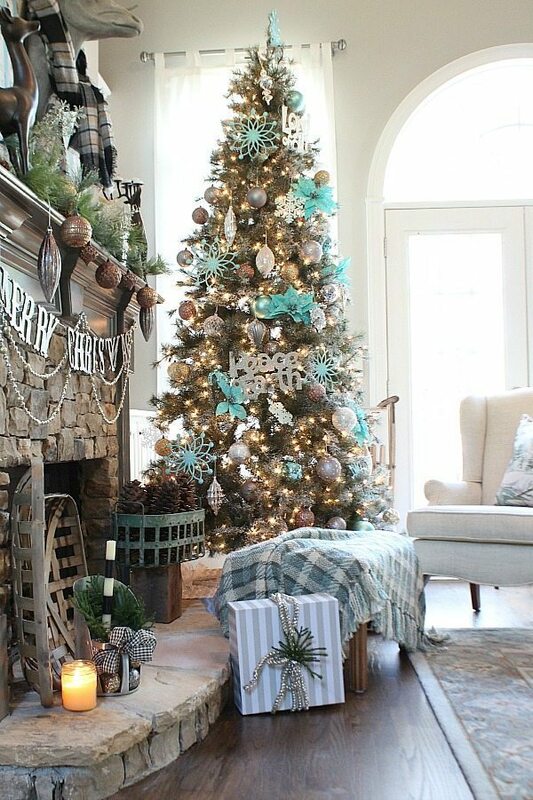 I love placing the tree where it can be enjoyed from every angle of the living area. Thank you so much for stopping by! 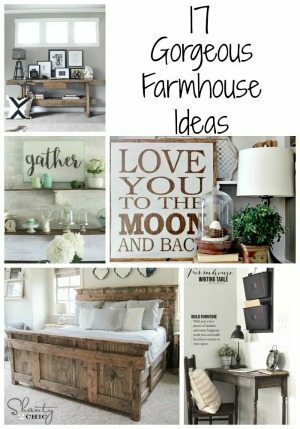 Over the next few weeks I will be sharing more of my house including never before seen rooms. 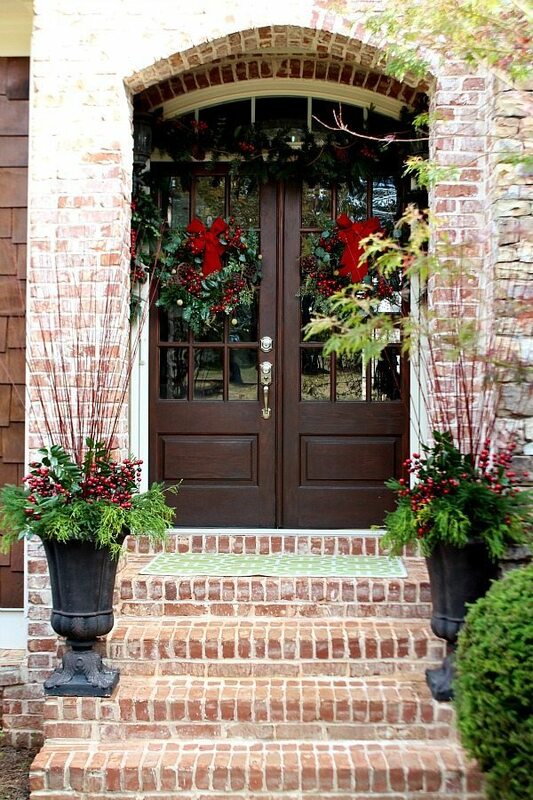 Decorated on a budget with a bit of Christmas every where you turn. And a few DIY projects, like the birch painting on the fireplace mantel. I can’t wait for you to see Kristin’s tree! She’s up next on the tour and I know you will find beautiful inspiration! Now on to: Bliss At Home. I want to completely mimic this tree. My wife has fallen in love with it so im trying to surprise her. 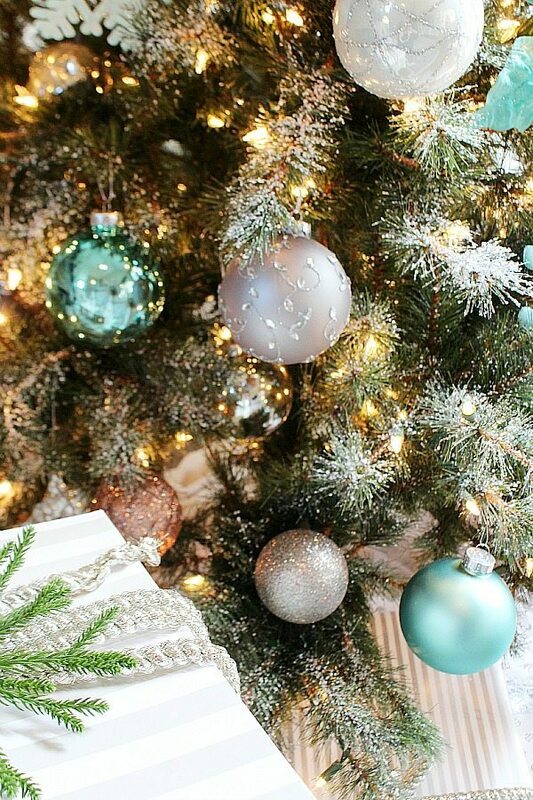 Can you send me a list of where you got your ornaments, snowflakes, ect? I’m thinking of proposing Christmas morning and if I could somehow mimic this tree. It would be perfect. Someone made a meme of your Christmas tree on Facebook, and I did a google image search to find my way here. I’m so glad I got to see more images of your tree! I wanted to ask, though, would you be willing to share your wall and mantle paint colors? I think they are beautiful! 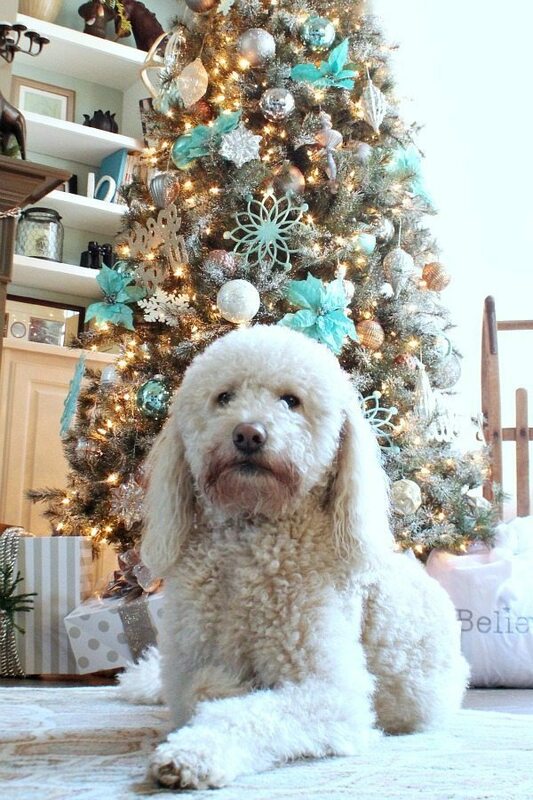 Where did you get those teal poinsettias and snowflakes?! 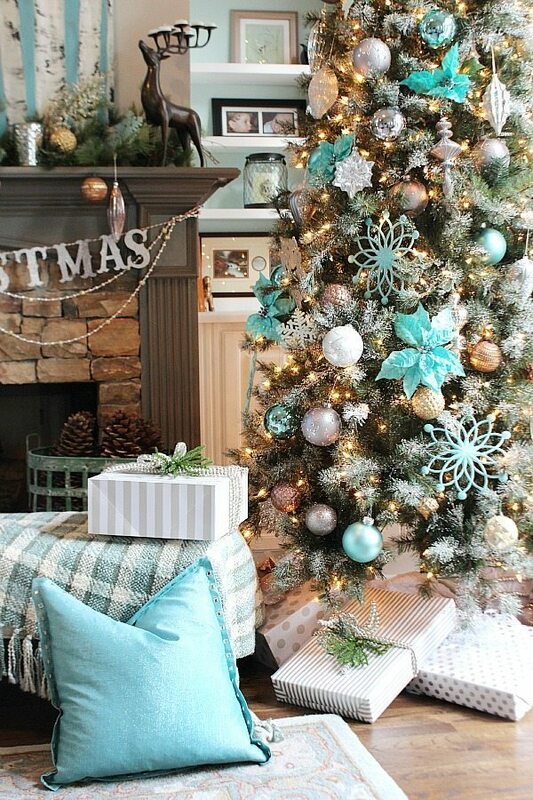 I love the Christmas tree design. may i know where do you get those baby blue accessories? 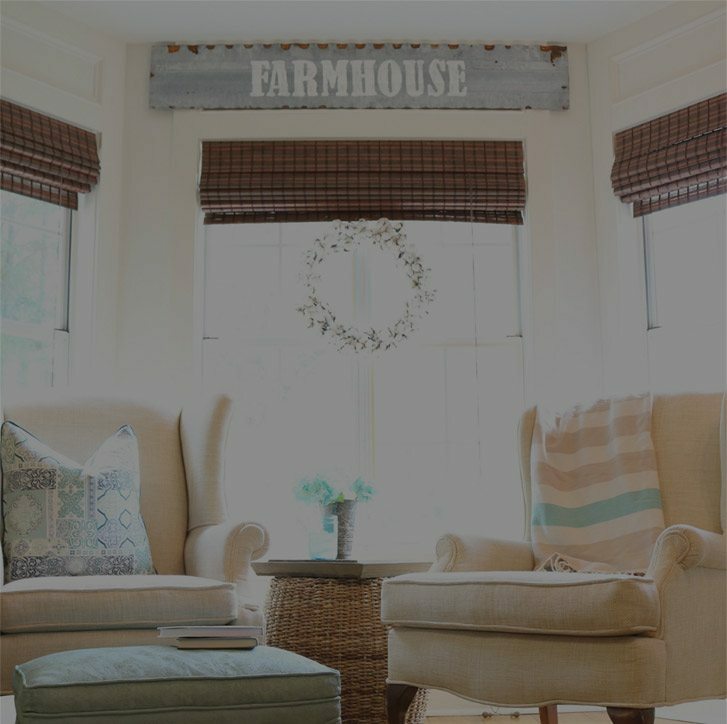 I know this is from last year, but can you tell me where you got the plaid throw/ blanket that is in many of the pictures? Hey Debby, it’s from TJ Maxx. I hope you find one! 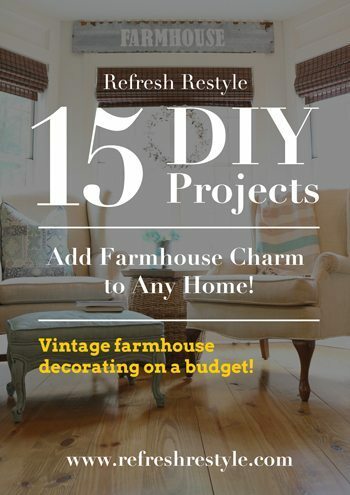 I have been searching your site for your DIY tutorial of the birch trees painted on wood from your Christmas Tree blog of 11/2015. I have not been successful in finding it. Would you please point me in the right direction to find it. 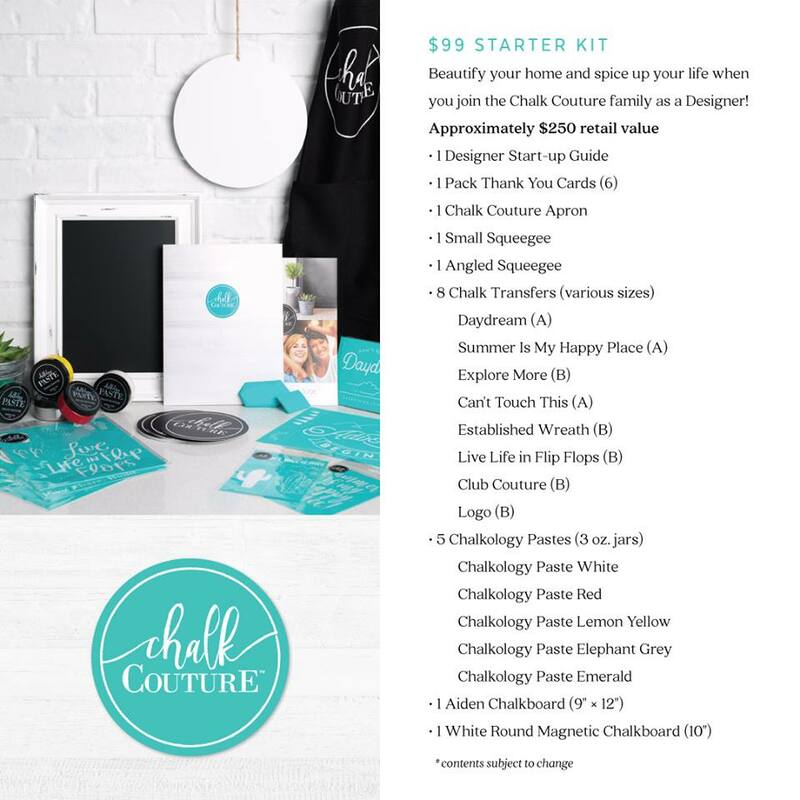 Thank you so much-I love your style and your blog! Candy, guess what? I still need to do the tutorial! Oh no, I can’t believe that I haven’t done it, yet! Debbie-that is wonderful. I am looking forward to it. Thank you!!!! Oh! I have been looking too!! 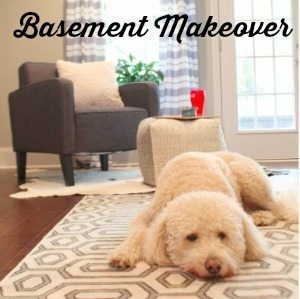 I’d love some help. Where did you find that amazing (reindeer?) head over your mantle??? I’m in love!!! I bought it online at Antique Farmhouse. They have various things for sale each day. Hi Debbie! 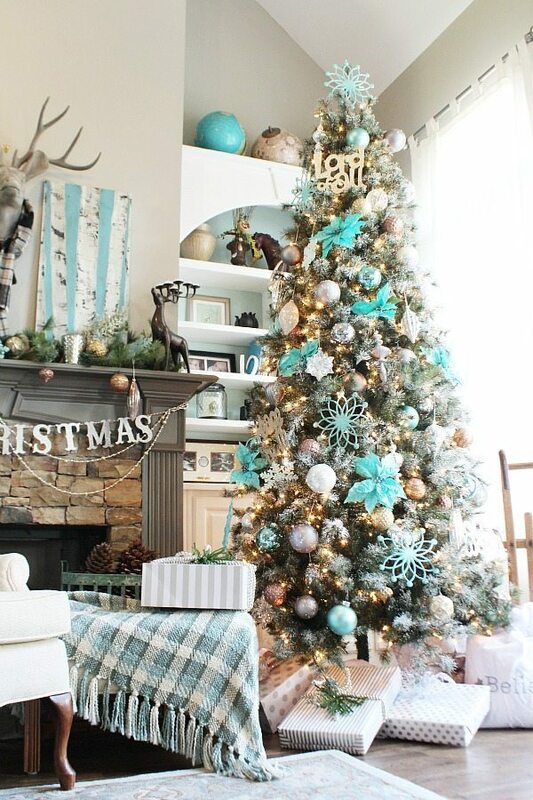 Gorgeous tree – one of my favorite color schemes. And cute doggy who posed so nicely for your picture! Lol! It’s been so much fun being on tour with you this week. Enjoy the weekend and have a wonderful holiday season! I love your whole room! The blue is such a beautiful color and I love how it changes the whole look! Great job! Thanks so much Amy, blue is one of my favorite colors! Debbie! 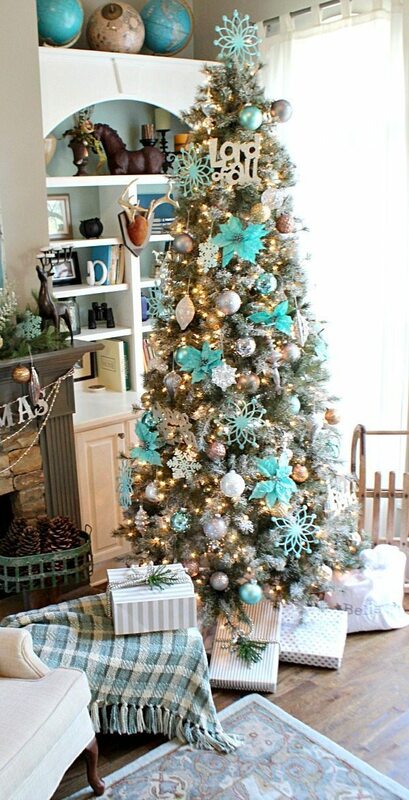 These are my most favorite colors ever, so of course I am in love with your tree! So beautiful and unique too! It was so fun being “on tour” with you this week! Hope you’re having a wonderful weekend! Thank you Abby! Hope you had a great Thanksgiving! Thank you Christy, I hope you had a great Thanksgiving! It’s gorgeous Debbie! I love the blues and silver you went with. That tree is gorgeous, I love the snow dusting. The snow is my favorite too! Thanks so much Maryann! Girl…you have outdone yourself! 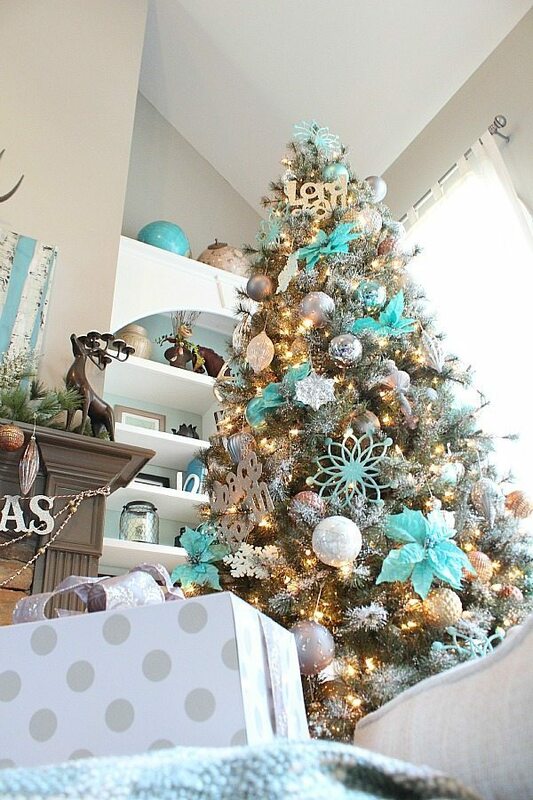 Your tree, color palette and style are impeccable! Well done! 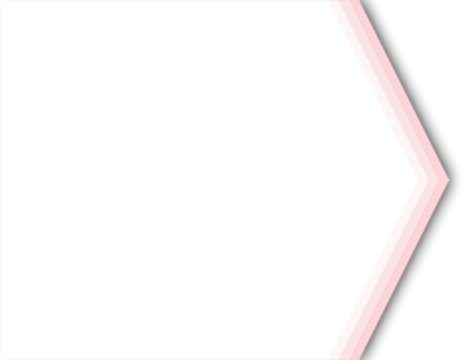 You are so in my color scheme. I love every single things you did with this. Want to come decorate my tree? The tree and the ornaments from Balsam Hill are scrumptious. Sharing! Love your color scheme ;)Thanks so much Rebecca! Oh I love your Christmas tree Debbie It is so pretty. I have one traditional and one totally non-traditional tree this year. 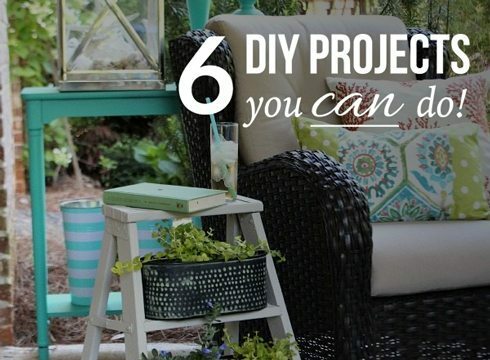 I love seeing all of the amazing ideas you ladies have! LOVE IT! Thank you s much Pat! Hope you had a great weekend! Your tree is beautiful! I love the colors you used. 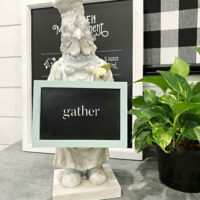 Your mantel is stunning too! You have a beautiful home. Thanks so much Janet! Yes I saw the rescue tree and the magic touch you have! I need you at my house!